Double Exposure Investigative Film Festival & Symposium, a project of 100Reporters, launches its fourth edition with world, U.S. and Washington premieres of fifteen new, investigative films that speak to our times in a newly urgent language, bridging investigative reporting and visual storytelling. This year’s themes: Demystifying. Exposing. Equalizing. Verifying. 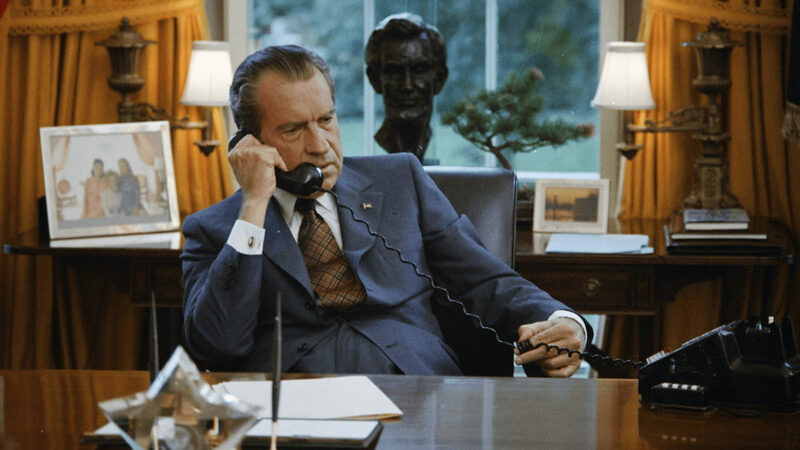 Double Exposure opens with WATERGATE, in which celebrated director Charles Ferguson (INSIDE JOB) recreates the epochal White House scandal for a new generation, using interviews with key players, previously-classified documents and Richard Nixon’s own secret recordings as the spine for Oval Office dialogues with chilling resonance today. 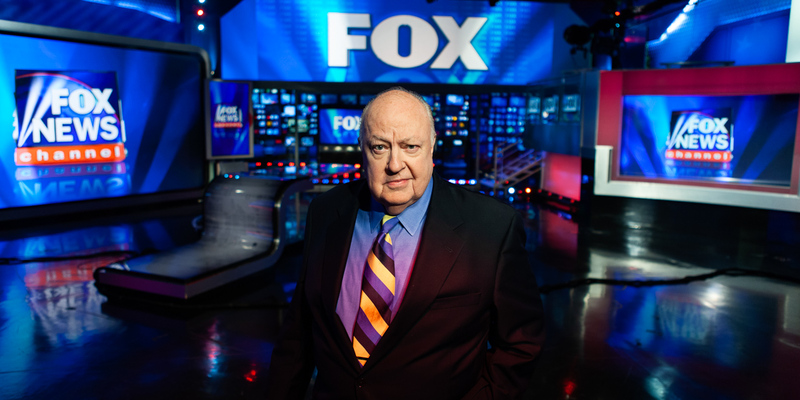 The festival’s closing film, DIVIDE AND CONQUER, tracks the rise and fall of kingmaker Roger Ailes, the driving force behind Fox News, who lost it all following accusations of sexual harassment at the top. GHOST FLEET investigates the hidden population of modern-day slaves who underpin industrial fishing, held captive at sea for years at a time. THE PANAMA PAPERS details the unprecedented coordination of over 300 journalists who reveal the biggest global corruption scandal in history. Our 2018 films explore the psychic cost of community-wide surveillance, uncovered through journalistic sleuthing and the Freedom of Information Act; wrongful criminal confessions; sexual assault and social media; the underside of savior complexes and much more. The films deliver illuminating stories from war-torn Afghanistan to middle America, from a middle-class apartment in Budapest to the Oval Office. Check the full lineup at dxfest.com. HISTORY’s definitive original documentary, WATERGATE, chronicles one of the biggest criminal conspiracies in modern American politics and features a roster of some of the most important media, legal and political figures from the scandal, including Bob Woodward, Carl Bernstein, John Dean, Jill Wine-Banks, Richard Ben-Veniste, and many others. Wednesday, Oct. 10, 7pm, Smithsonian’s National Portrait Gallery. Post screening discussion with director Charles Ferguson and special guests to be announced. Following Opening Night, all screenings take place at the Naval Heritage Center, and are followed by conversations with the director, film subjects, and others. STOLEN DAUGHTERS: KIDNAPPED BY BOKO HARAM revisits a shocking story that made global headlines. In 2014, 276 Nigerian school girls were kidnapped from a school in Chibok, Northern Nigeria, and hidden in the vast Sambisa forest for three years by Boko Haram, a violent Islamic insurgent movement. Granted exclusive access to the 82 girls who were freed last year and taken to a secret government safe house in the capital of Abuja, the film explores how the young women might adapt back to life after having experienced such trauma, and how the Nigerian government is navigating, and at times commandeering, their reentry into society. Thursday, Oct. 11, 6pm. Naval Heritage Center. ROLL RED ROLL goes behind the headlines of a notorious high school sexual assault case to witness the social media-fueled “boys will be boys” culture that let it happen, and defended them when it did. Thursday, Oct. 11, 8:30pm, Naval Heritage Center. Post-screening discussion with director Nancy Schwartzman, film subjects Alexandria Goddard and Rachel Dissell, and others to be announced. In UNPROTECTED, an acclaimed American charity said it was saving some of the world’s most vulnerable girls from sexual exploitation. Then the girls were raped, and that was only the beginning. Friday, Oct. 12, 4pm, Naval Heritage Center. Post-screening discussion with director Nadia Sussman, and others to be announced. 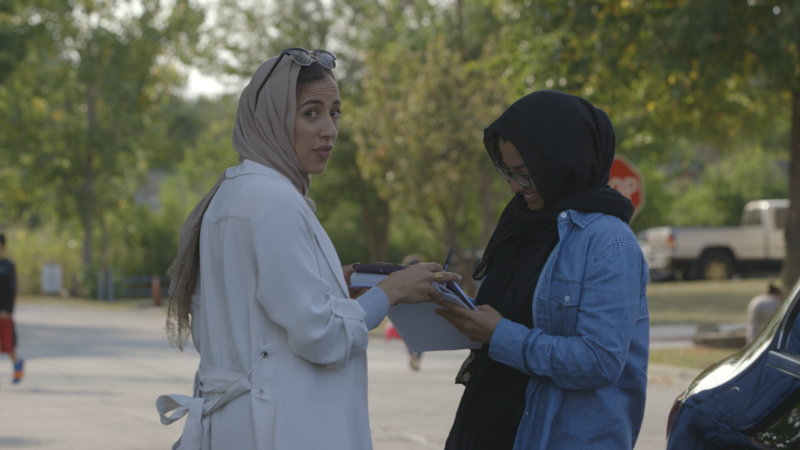 For THE FEELING OF BEING WATCHED, filmmaker Assia Boundaoui follows the trail of her neighbors’ suspicion that their community just outside Chicago has been under surveillance for over a decade. While investigating their experiences, Boundaoui uncovers tens of thousands of pages of FBI documents that prove her Muslim community was indeed the subject of one of the largest counter-terrorism investigations ever conducted in the U.S. before 9/11, code-named “Operation Vulgar Betrayal.” Friday, Oct. 12, 6pm, Naval Heritage Center. Post-screening discussion with director Assia Boundaoui, and others to be announced. GHOST FLEET follows a small group of activists who risk their lives on remote Indonesian islands to find justice and freedom for the enslaved fishermen who feed the world’s insatiable appetite for seafood. Bangkok-based Patima Tungpuchayakul, a Thai abolitionist, has committed her life to helping these “lost” men return home. Facing illness, death threats, corruption, and complacency, Patima’s fearless determination for justice inspires her nation and the world. Friday, Oct. 12, 8:30pm Naval Heritage Center. Post-screening discussion with director Shannon Service, producer Jon Bowermaster, and others to be announced. THE TRUTH ABOUT KILLER ROBOTS is an eerie, eye-opening work of science-nonfiction, that charts incidents in which robots have caused the deaths of humans in an automated Volkswagen factory, in a self-driving Tesla vehicle and from a bomb-carrying droid used by Dallas police. Though they are typically treated as freak anomalies, each case raises questions of accountability, legality and morality. Exploring the provocative views of engineers, journalists, and philosophers, and drawing on archival footage, the film goes beyond sensational deaths to examine more subtle ways that robots pose a threat to society. Saturday, Oct. 13, 10am, Naval Heritage Center. Post-screening discussion with director Maxim Pozdorovkin. THE UNAFRAID (dirs. Anayansi Prado & Heather Courtney) follows the personal lives of three DACA students in Georgia, a state that has banned them from attending their top state universities and disqualifies them from receiving in-state tuition at any other public college. Shot in an observational style over a period of four years, this film takes an intimate look at the lives of Alejandro, Silvia and Aldo as they navigate activism, pursuing their right to education, and fighting for the rights of their families and communities. Saturday, Oct. 13, 12:30pm, Naval Heritage Center. Post-screening discussion with director Heather Courtney, film subjects and others to be announced. FALSE CONFESSIONS. Each year innumerable American suspects confess to crimes they did not commit, and experts say that trained interrogators can get anybody to confess to anything. The film follows indefatigable defense attorney Jane Fisher-Byrialsen, who is determined to put an end to interrogation techniques that all too often pressure innocent people into false confessions. As we weave through four of Fisher-Byrialsen’s cases, all involving false confessions, the film examines the psychological aspect of how people end up confessing to crimes they have not committed and the consequences of these confessions – for those accused, for their families and for society at large. Saturday, Oct. 13, 3pm, Naval Heritage Center. Post-screening discussion with director Katrine Philp, subject Jane Fisher-Byrialsen, and others to be announced. In making OF FATHERS AND SONS, Syrian-born filmmaker Talal Derki travels to his homeland in Syria, where he gains the trust of a radical Islamist family, sharing their daily life for over two years. His camera focuses primarily on the children, providing an extremely rare insight into what it means to grow up with a father whose only dream is to establish an Islamic caliphate. Osama (13) and his brother Ayman (12) both love and admire their father and obey his words, but while Osama seems content to follow the path of jihad, Ayman wants to go back to school. Winner of the Grand Jury Prize for World Documentary at the Sundance Film Festival, OF FATHERS AND SONS is a work of unparalleled access that captures the chilling moment when childhood dies and jihadism is born. Saturday, Oct. 13, 5:30pm, Naval Heritage Center. In DIVIDE AND CONQUER Alexis Bloom sheds light on the current moment in American political life by following the arc of Roger Ailes: long-time Republican Svengali and controversial founder of Fox News. By coaching an unrivaled stable of politicians over the course of fifty years, Ailes heavily influenced Republican politics, steering the conservative movement from Nixon to the Tea Party to Trump. Under his tutelage, anger and fear became the coin of the realm, both on the ballot and on national television. This is a story of serial cruelty, both on the public stage and in private life. Like a true Shakespearean figure, ambition and desire were Ailes’ undoing. He was finally toppled when victims of his sexual harassment stepped forward. The accounts of these women—raw and infuriating—are the axis around which Ailes’ story inexorably turns. Saturday, Oct. 13, 8:30pm, Naval Heritage Center. Post-screening discussion with director Alexis Bloom, and others to be announced. For A WOMAN CAPTURED, director Bernadett Tuza-Ritter follows the life of a European woman who has been held by a Budapest family as a domestic slave for 10 years. She is one of over 45 million victims of modern day slavery today. Drawing courage from the filmmaker’s presence and the camera as witness, the woman captured attempts to escape the unbearable oppression and become a free person. Sunday, Oct. 14, 11am, Naval Heritage Center. Post-screening discussion with director Bernadett Tuza-Ritter. 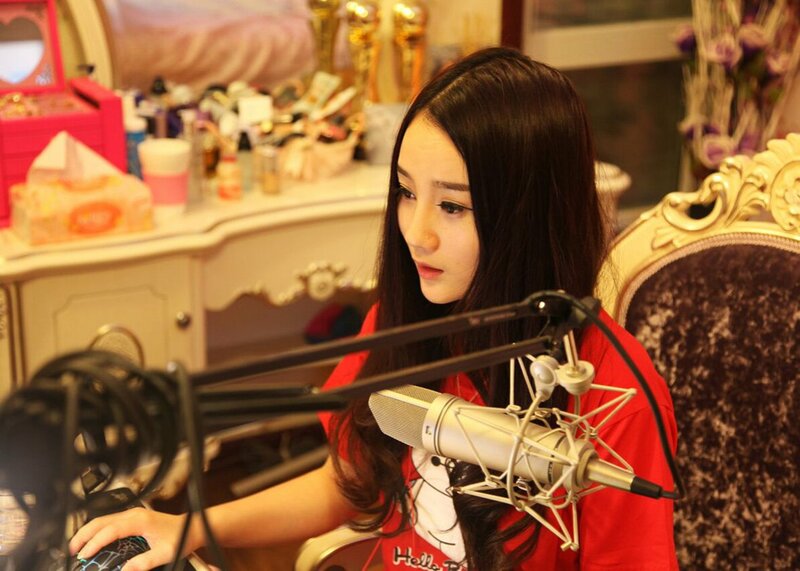 THE PEOPLE’S REPUBLIC OF DESIRE dives deep into world of young stars of live streaming in China, where the shift to a virtual life in place of flesh-and-blood relationships has gone far. The stars build followings among the rich and poor, with the rich lavishing online personalities with gifts worth millions of dollars, and the poor cheering the wealthy patrons on and rooting for their idols. The scene culminates with a once-a-year competition, a cross between the Hunger Games and Black Mirror, in which the winner is the one whose patrons buy the most votes. Sunday, Oct. 14, 1:45pm, Naval Heritage Center. Post-screening discussion with filmmaker Hao Wu. Filmed over three years, ANGELS ARE MADE OF LIGHT follows students and teachers at a school in an old neighborhood of Kabul that is slowly rebuilding from past conflicts. Interweaving the modern history of Afghanistan with present-day portraits, director James Longley offers an intimate and nuanced vision of a society living in the shadow of war. Sunday, Oct. 14, 4:30pm, Naval Heritage Center. Post-screening discussion with filmmaker James Longley. In THE PANAMA PAPERS, Alex Winter delivers a powerful, illuminating film that paints a complete picture of the biggest global corruption scandal in history. The “Panama Papers” leak involved the unprecedented coordination of hundreds of journalists from 107 media organizations in more than 80 countries, who broke the story in 2015. The papers included over 11.5 million documents that detail financial and attorney-client information for nearly 214,500 offshore accounts. Winter includes interviews with whistleblowers and key journalists on the investigation, to tell the story of the massive data breach which uncovered murky political and financial corruption, bribes, election rigging and even murder. Sunday, Oct. 14, 7:30pm, Naval Heritage Center. Post-screening discussion with filmmaker Alex Winter, and others to be announced.